A Fundraising Event to Benefit The Sonoma County Orchid Society. 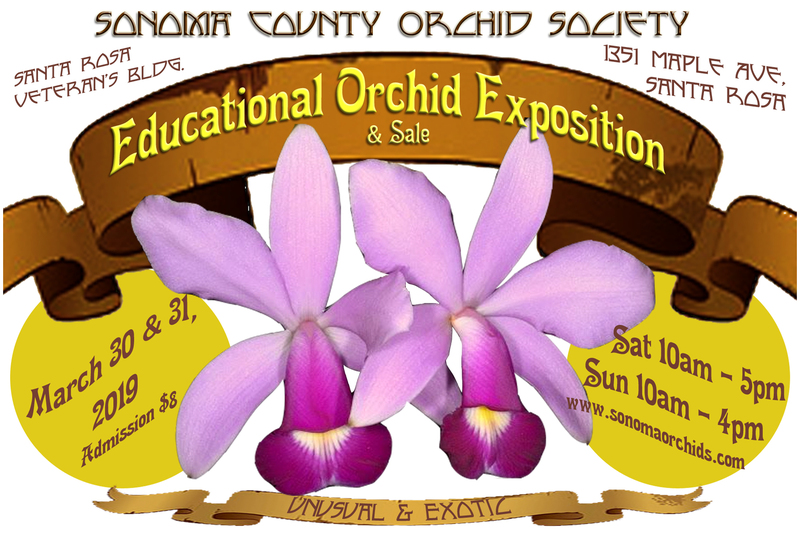 Skill Sessions – Learn orchid care from the experts! Boutique – Orchid, plant & garden related books, non-orchids, potting supplies, bark & other related decorative items. Advance Tickets can be purchased for $7.00 Online using EventBrite. Click HERE!